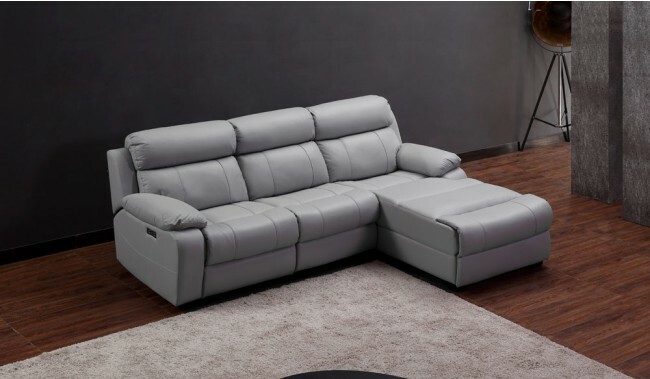 Relax in supreme comfort with our modern and flexible Novell modular sofa. 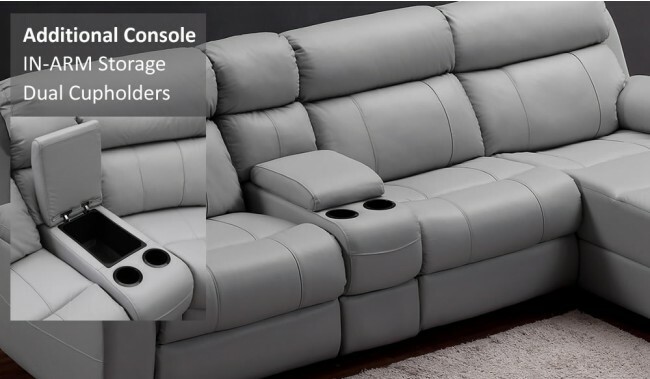 Available in large range of configurable options of size and number of recliners or consoles. 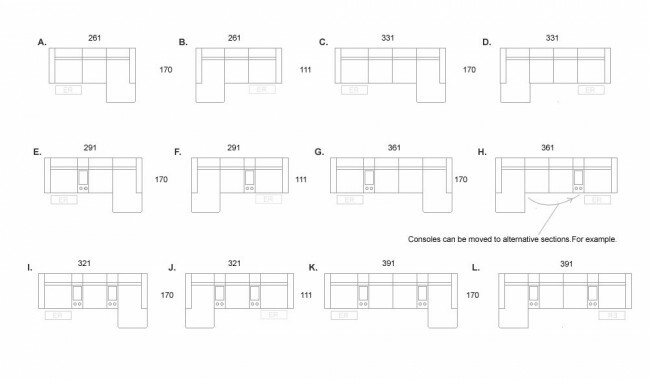 We have listed some of the most typical below and on the diagrams. 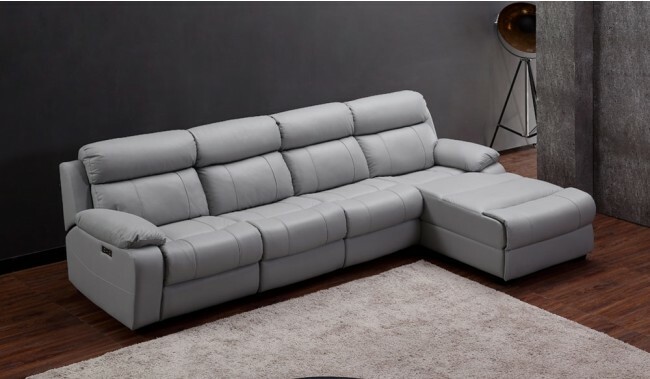 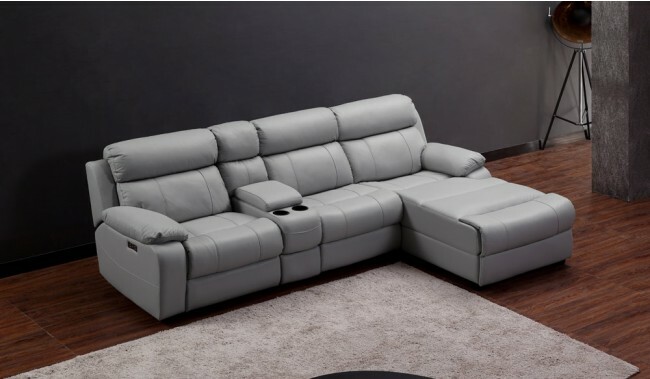 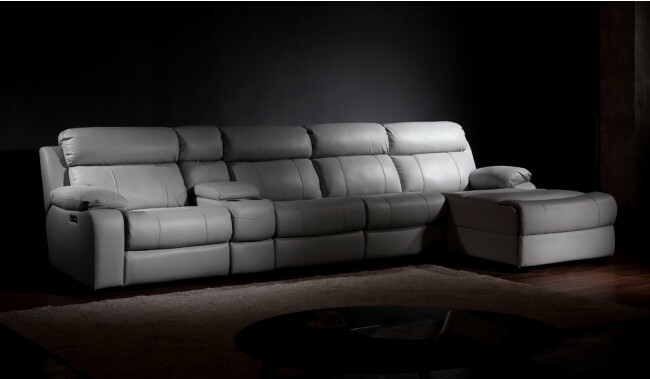 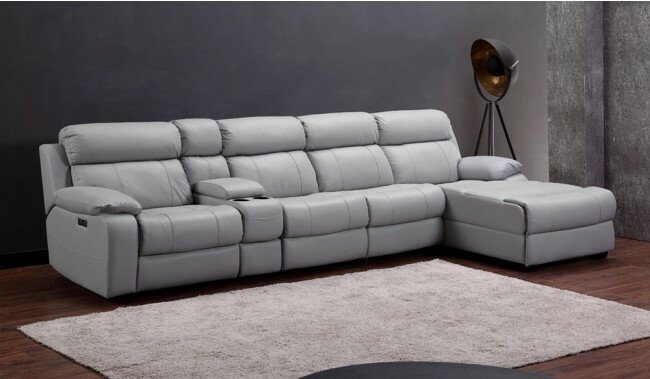 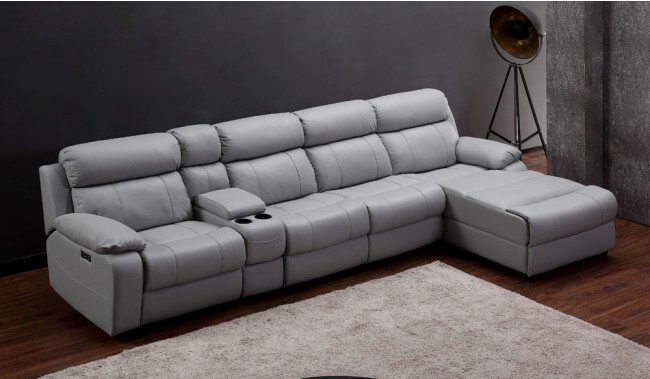 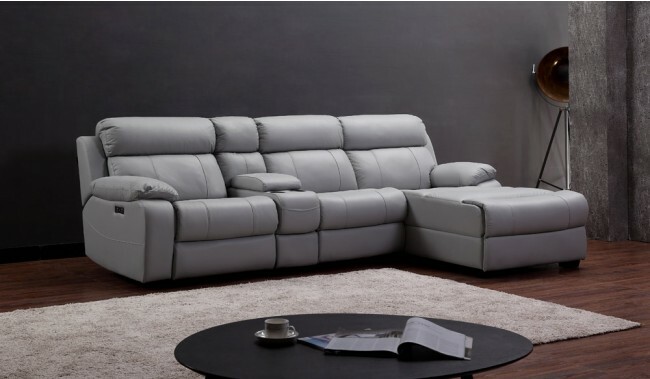 Please contact us on support@deluxdeco.co.uk for alternate options or add your addtions to the cart when checking out and we will contact you to confirm where the additions should reside on your new sofa set. 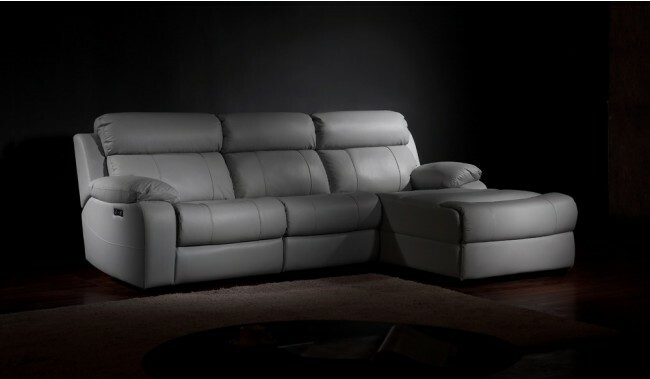 Finished in top grain leather and available by default with electric recline on the end arm section. 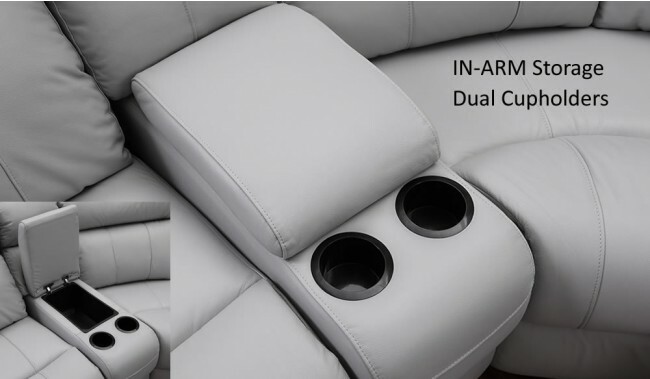 One power source required per recliner. 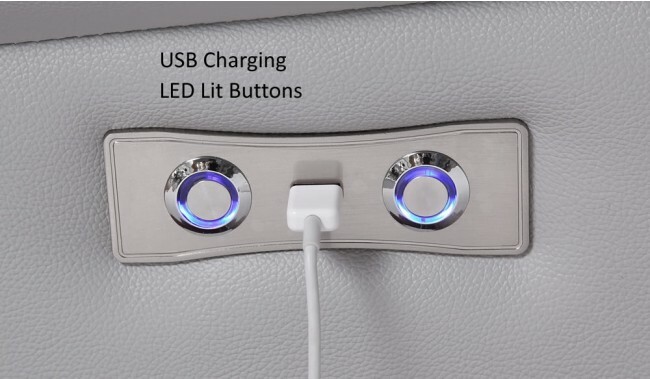 Battery packs sold separately.